Looking for things to do in Bethesda, Maryland? The thriving urban community is home to a variety of attractions, parks, recreational facilities, shops, restaurants, and entertainment venues. Bethesda is a popular destination to visit from around the capital region and has convenient access to downtown Washington DC and I-495. Click through the following to learn about the "must sees" of Bethesda. Downtown Bethesda is one of the best places to dine in Montgomery County, Maryland. The area is known for its fine restaurants offering a wide range of cuisine from contemporary American to Mediterranean, to French or Latin American fare. Enjoy savings at some of the best of the region during Bethesda Montgomery County Restaurant Week, held each winter and summer. 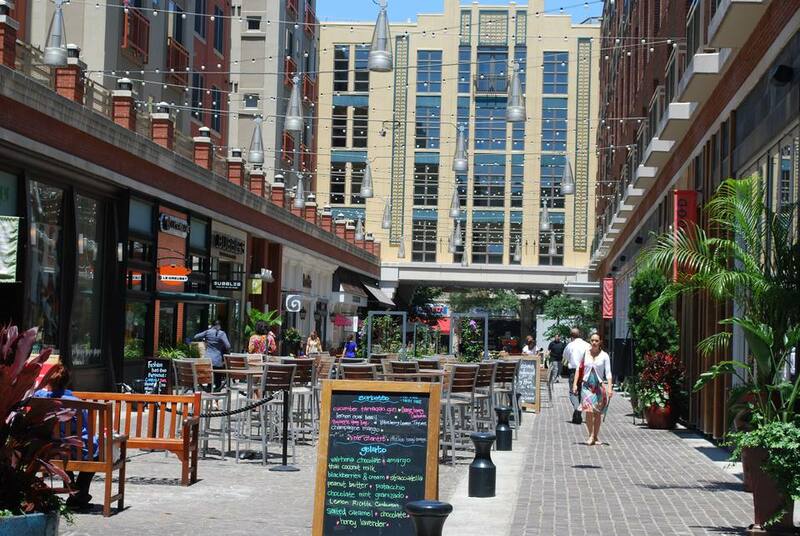 During the warmer months of the year, enjoy dining outdoors in Bethesda. The Capital Crescent Trail runs right through Downtown Bethesda and extends from Georgetown in DC to Silver Spring, Maryland. The paved trail is a popular recreation spot to enjoy walking, jogging, biking, or rollerblading. Enjoy year-round activities in dance, theater, visual arts and environmental education at the National Park for the Arts. Take a ride on an antique carousel, have a picnic, learn a new dance style in the Spanish Ballroom, or attend an art show or special event. The 2,000 seat state-of-the-art concert hall features world-class performances by major national artists including folk, blues, pop, jazz, show tunes, and classical music. The Mansion offers an intimate space for smaller performances. Summer programs include outdoor performances. A variety of arts education programs are available for all ages. The park is one of Montgomery County's largest and offers a wide range of things to do. The playground is a favorite for kids and includes a replica of an 1863 C.P. Huntington train that is available for a ten-minute, two-mile ride through the park. There is also a full-service ice-skating rink, indoor and outdoor tennis courts, athletic fields, picnic areas, trails and a nature center. Read more about Cabin John Regional Park for more information. Based in Montgomery County, Maryland, the non-profit theater company produces nearly 200 performances each season at its locations in Bethesda and Silver Spring. The main theatre in Bethesda has 400 seats. The theatre in Silver Spring has 150 seats and an education program. Read more about Roundhouse Theatre for more information. The children’s theater company offers year-round productions of modern and classic plays. The organization also offers classes and summer camps focusing on drama, acting, dance, musical theatre, and filmmaking for children of all ages. The Bethesda Blues & Jazz Supper Club brings live musical entertainment to a state-of-the-art venue in a historic landmark building. The supper club features New Orleans style cuisine. The eight-screen movie theater, located in the heart of Bethesda, specializes in first-run independent and foreign language films, documentaries and classic revivals. Read More About Bethesda, Maryland for more information.